UI Patterns Field Group: allows to use patterns to format field groups provided by the Field group module. Read the documentation. 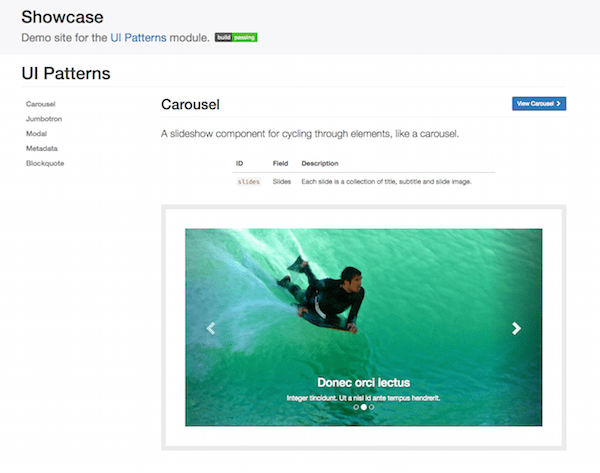 UI Patterns Layouts: allows to use patterns as layouts provided by the Layout plugin module. This allows patterns to be used on Display Suite view modes or on panels out of the box. Read the documentation. UI Patterns Display Suite: allows to use patterns to format Display Suite field templates. Read the documentation. 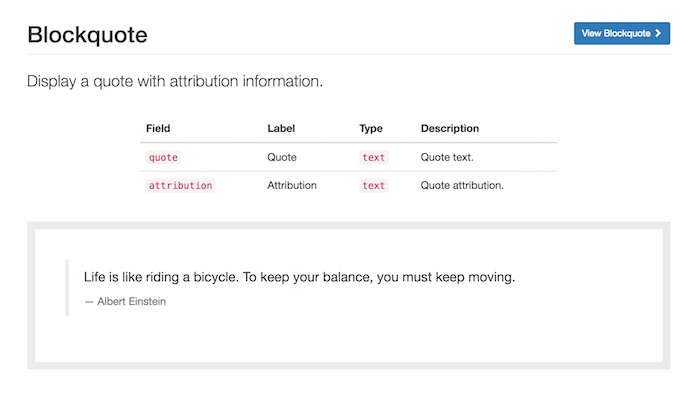 UI Patterns Views: allows to use patterns as Views row templates. Read the documentation. Thank you! :) Make sure you check the documentation at http://ui-patterns.readthedocs.io if you want to give it a try. I work with Antonio from time to time and I know the time and energy he puts in this, especially for the tests which are inspiring ! Congratulations on the very useful module, I guess it will be very welcome in the community. Wow! I can't wait to try this out with Display Suite. Thanks for creating this module. Great news, looking forward to use this module. 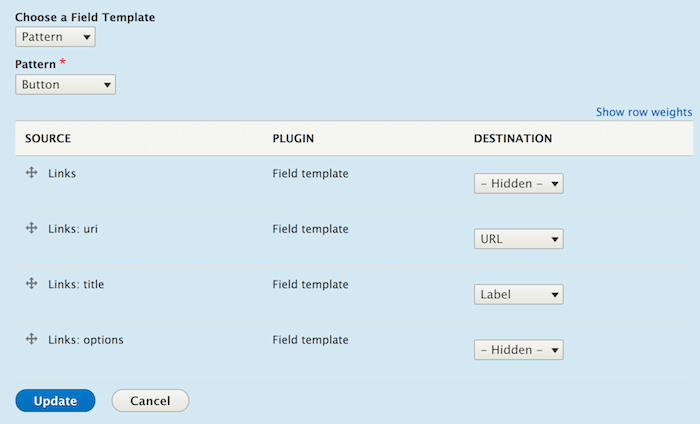 I must confess that I had bad time trying to use PatternLab with Drupal 8.x and this module may help things go easier. The docs are also well organized. Anyway to make this work with the popular Paragraphs module? Yes, please have a look at http://ui-patterns.readthedocs.io/en/8.x-1.x/content/layout-plugin.html it explains how to use the module with Paragraphs. Hi, just wanted to say that I am now using this module on a side project of mine. It's great how you can do the theming and designing on the pattern level even before having content to put into them. Great work! The example of formatting a link field as a button looks pretty sweet. But the idea of having yet another layer of abstraction between Drupal and Pattern Lab is a bit of a turn-off. I'm not convinced that this would be an overall win. I suppose that it depends a lot on the balance of skills on your team. But what a best way to use for example "card" pattern in "list_of_cards" pattern ? Comments on this post are closed. Please follow the project page for updates.